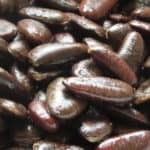 HOW DO WE GROW OUR NURSERY PLANTS? At Peaceful Heritage Nursery and Farm we aim for 100% transparency in our Certified Organic methods of growing your new plants. We 100% avoid using any and all synthetic chemical pesticides, fertilizers, fungicides, herbicides, fumigants, neonictinoids and genetically modified/bioengineered (GMO) plant materials. 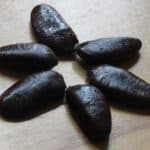 We DO use 100% naturally derived soil ammendments such as: rock phosphate, greensand, organic kelp meal, coco coir, natural compost and organic molasses. Each and every plant receives personal care and careful inspection. We propagate as much of our own stock right now as possible, and that increases dramatically each year. As of 2019 we are propagating more of our own organic stock than ever before, which will be (usually) sold as “Certified Organic”. 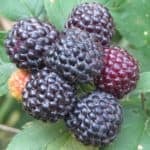 Developing a nursery takes a lot of time and many years to do, and it’s impossible to grow everything ourselves, so we do source some of our plant material from a number of premium quality, smaller, conventional, non-GMO, regional U.S. farm sources and (for berries) certified virus-free stock. We comb through the purchased stock, vetting it for quality and consistency, and reject any that is not high quality and viable. Once it’s in our hands, if it is propagated or planted in our nursery it receives 100% natural care for the duration of it’s time in our hands. This includes organic/natural health sprays, 100% natural soil mixes, fertilizers and aftercare. 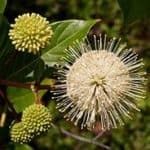 These conventionally-grown plants will grow and mature into wonderful and abundant naturally-grown or certified organic (or conventional) plants and trees in due course of time. We are 100% family-owned and family-operated and unlike many farms and large nurseries do NOT employ underpaid migrant workers. The fact that we have no employees to pay as of 2019 means we can offer you much better prices than most other nurseries as well as more personal, factually accurate and direct customer service. IS YOUR NURSERY “USDA CERTIFIED ORGANIC? 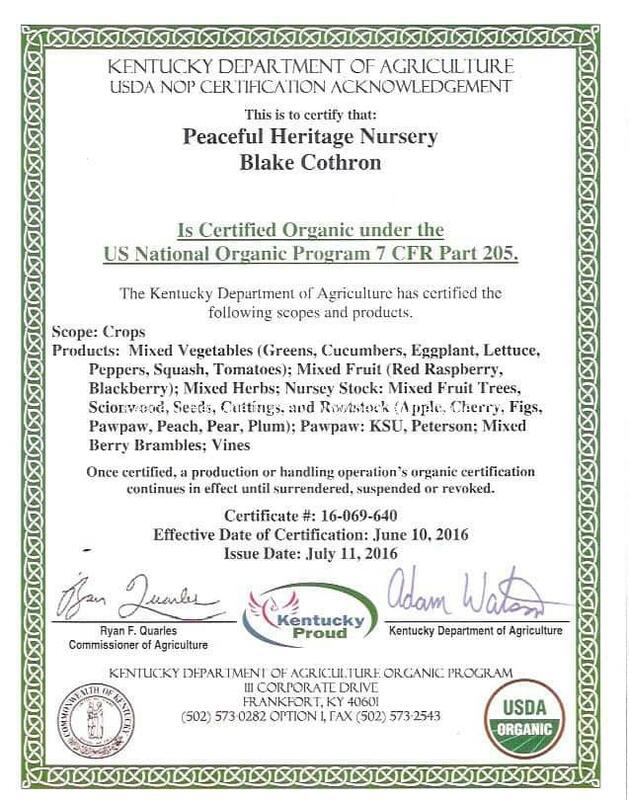 As of July 2016, OUR NURSERY IS USDA Certified Organic! What does it mean that we are a Certified Organic Nursery? Being Certified Organic means that our family farm and nursery is 100% free of synthetic pesticides/ herbicides/ fungicides, chemical fertilizers, neonictinoids (honey-bee killing products), and genetically-engineered (GMO) plant materials and GMO-derived products. 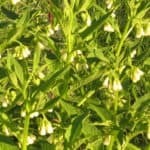 Anything listed on our site as “Certified Organic” was usually produced at our nursery and is 100% organic. We also partner with several other regional family-owned nurseries who supply some of our high-quality, premium conventional nursery stock we are pleased to sell, until if and when we can eventually produce all of our own, organically. Any conventionally grown plants we offer can be planted and grown organically with great results! 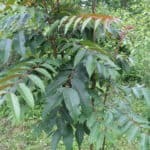 WHY BARE-ROOT TREES AND PLANTS? We offer both potted and bare-root trees, plants and shrubs. In our main nursery season (February-April), we primarily deal with selling and shipping bare-root plant stock. 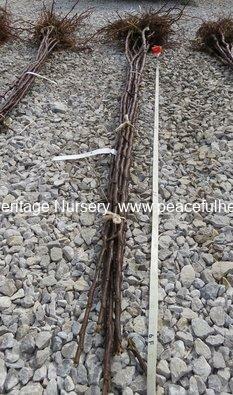 This has several advantages for both you as the customer and us as the nursery. 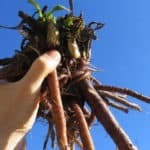 First, bare-root stock is much more affordable and more environmentally friendly to produce and ship as it does not require plastic pots or potting soil mix and is typically grown in-field. In-field plants will produce a much larger and healthier, more robust and natural root system than what is often found with pot-grown plants. These field-grown plants are dug while in a dormant state and shipped to you with moist, intact roots but removed of heavy soil; greatly reducing shipping costs to you, the customer. 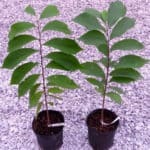 This means we can sell you your trees at much reduced prices, typically around 30-50% less than over-sized and unhealthy potted trees which will have much inferior root systems and that have been stressed in their little plastic pots. We then wrap the bare roots with great care and attention in moist material and plastic wrap before shipping them, an essential step inferior nurseries do not take, yet which guarantees them alive and well until planted. 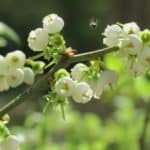 This altogether leaves a smaller carbon-footprint, is less fuel-intensive, much more affordable and gives YOU a better tree or plant than you would buy potted in many other nurseries. 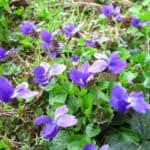 If planted with care and skill immediately or very soon after arrival, your bare-rooted plants will have a very high probability of thriving in their new home. We regularly witness bare-root stock grow 2-3x as much in a season compared to potted trees on our farm. 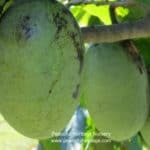 A few items, such as our pawpaw trees, do quite well propagated carefully in special pots under specially controlled conditions, and show great results from such care. So, we do offer a few potted products but mostly our plants are sold bare-root. The picture above shows an example of the premium quality, dormant, ready-to-plant, bare-root apple trees we will be shipping to you. How do we ship your plants? We ship via USPS in Priority Mail boxes or unlabeled brown Uline boxes, or in other cardboard boxes depending on order size and shape. This is affordable, secure and fast. In Kentucky, usually transit time is one day, in surrounding states most packages reach their destination in 2-3 days. In other parts of the country packages usually arrive within 4-7 days. Orders shipped to the West Coast need to be sent 2-Day Priority and sometimes carry additional shipping fees that may be requested to complete your order. 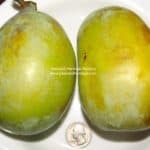 Potted plants, such as grafted pawpaws, are heavy and more expensive to ship and therefore sometimes require additional shipping fees. Packages are shipped securely in reused plastic packaging material to save lots of waste, when possible. Plants are shipped bare root in season (February-April) and we only ship potted or bare-root plants from March-December. Some plants are shipped potted, as per plant descriptions. We do not ship plants in extreme freezing weather, and in cold springs this can delay shipping by 1-2 weeks until temps warm up. Freezing temps can kill or damage bare root trees packed in a box. We aim to only ship your plants when it is safe to do so. With climate change and extreme events this is sometimes challenging. 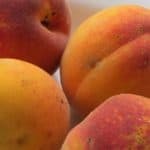 What does “grafted” or “grafting” mean? Grafting is a very important horticultural technique where a small piece of twig from one tree, referred to as a “scion” is surgically connected to a tree or plant used primarily as a root system, called the “rootstock”. 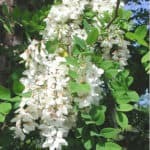 It creates a plant which is completely identical in fruit and flower as the one in which the scion came from. In this way, heirloom and other superior fruit trees of any kind can be reproduced and distributed indefinitely. Every time you buy fruit from the grocery store, nearly 100% of it comes from grafted trees. 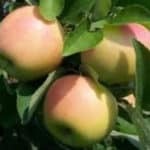 It is the only way superior varieties, such as Stayman Winesap apples, KSU Atwood TM pawpaws, or even good old Granny Smith apples, can be made available. 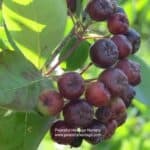 Starting trees from seed is possible too, but gives variable results and takes sometimes a decade or more to see those results and get fruit production. 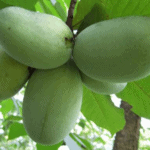 Pawpaws and peaches are two examples of fruits that grow well from seed. 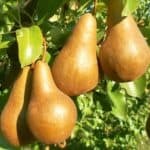 Apples and pears vary tremendously when grown from seed and are unreliable. 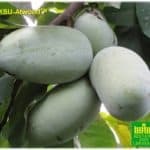 Grafting is a thousands of years’ old technique and is not in any way remotely similar to GMO or bio-engineering of plants. Bio-engineering (GMO) of plants involves artificially inserting genetic material from other species into the genome of the plant. This is not good! We will never carry any GMO products. How does our nursery differ from others? We are a small family micro-farm and not a large-scale monoculture nursery. We use no synthetic chemical fertilizers, pesticides or chemical fungicides of any kind, and are USDA Certified Organic. Because we are small-scale we give extra-special care to every customer as well as every plant we deal with. We never knowingly ship damaged, dead or weakling plants. 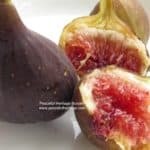 We are organic fruit farmers, aficionados as well as fruit explorers. 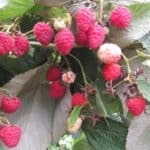 We are always searching out new and better fruits, talking to other growers, trialing and testing for better and more reliable superior plants to offer in our nursery to add to yours’ (as well as our own) orchard success. We strive to provide very respectful, timely and excellent customer service to all our clients. To us, you are our client, a person like us and not just another “random customer” or numerical alias. We want to be YOUR fruit tree nursery, therefore we will provide extra high quality products and services at reasonable prices. We operate from strict standards of integrity, honesty, old-fashioned hard work and strive to “love our neighbors (and clients) as ourselves!” You can rest assured your dollars spent here are invested back into local goods and services in our community, invested into developing our local organic farm, building a better fruit tree nursery and otherwise providing a living wage income for a simple-living, high-thinking farming family in Kentucky. We appreciate you very much and thank you kindly for your support.